To profitably operate an eatery, managers have to be hyper-focused on pleasing their clients, every aspect of the customer's experience needs to be perfectly fine-tuned for success and a big part of this experience is tied to the restaurant's cleaning habits. Seriously! You could have the biggest bloggers working day and night with you to push your story or spend millions on advertising but all that will only get you is - some customers through the door - it might even get them to order some food but if you have a bad presentation or your hygiene is poor they will leave and never come back. Say goodbye to all your profits. This sounds terrible but it's not the worst thing that can happen to you or your restaurant. 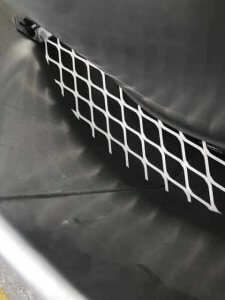 Poor hygiene practices will leave your premises vulnerable to fire breakouts. Nashville Hood Cleaning understands that to grow a restaurant you need to not only be operating at full capacity, but you also need to be in a position whereby you can invest your profits where it counts. Our team is trained and highly experienced to help you make that happen. 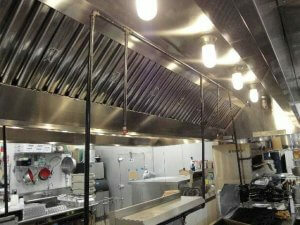 They will clean, scrub and wash every corner of your restaurant, leaving it cleaner and smelling fresh. Our team will also inspect your premises, get rid of all potential fire sources and make the place not only 'inspector friendly' but profit-friendly too. What does Nashville Hood Cleaning do? 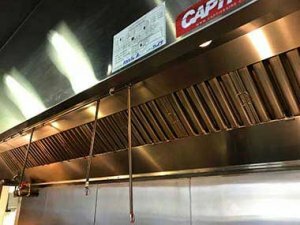 Our company started out perfecting the art of hood cleaning however as time went by our clients started asking us to perform more and more tasks within their restaurant. 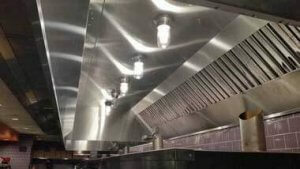 We started small doing 'smaller' tasks within the kitchen, tasks such as exhaust fan hinges installation and hood filter services we then went further until eventually, we started cleaning entire restaurants. At Nashville Hood Cleaning, we believe in the power of social living, and there's nowhere else that fosters social living like a restaurant. Friendships are born in Restaurants, Relationships are started in restaurants and deals are brokered in Restaurants. So many events occur inside restaurants, events that couldn't have been possible without the right atmosphere. By doing our best! cleaning work we know we won't just help businesses grow, we will also prevent any dangerous fires from ever breaking out. If you think about it Nashville Hood Cleaning Pros isn’t just making the world cleaner and safer, we’re bringing the world closer too. What can I expect in terms of pricing? However, if you ask as for standard rates we can’t give you a fixed number, just estimates. See most of our clients ask for a variety of services, some more complex than others, others ask that we work on an ongoing contractual basis while others want a flexible arrangement. One other reason we don't offer standard rates is that restaurants have different demands, some restaurants have fewer demands i.e. coffee houses while others have more demands i.e. Fast food joints. Even then we haven't gotten into specifics such as the size of the premises or a number of customers. You get the gist. We can offer you a free quote though, so if you have a restaurant don't hesitate to call us to find out what your rates are. *No matter what type of service you'd like, be assured of great service. You might assume that to get this quality service you'd need to pay an arm and a leg. Not true! Nashville Hood Cleaning has some of the best rates in town. Do you work on every kind of restaurant? Yes, we do! 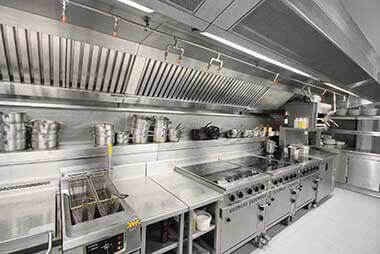 We offer our services and have worked with every kind of restaurant you can imagine; Cafés, Steakhouses, Fine dining, and even corporate kitchens. So whichever restaurant you may have, our team is trained and experienced to handle each one. Where does Nashville Hood Cleaning offer its services? Which neighborhoods? We offer our services to the following neighborhoods of Nashville: Brentwood, Franklin, Nolensville, Mount Juliet, Spring Hill, Thompson's Station, Oak Hill, Forest Hills, Belle Meade, Hendersonville, Shackle Island, Green Hill - and every suburb in between. Will Nashville Hood Cleaning give me any kind of service guarantee? Oh! Absolutely! Every service we offer will be given a 100% customer satisfaction guarantee. This is because we don't compromise on any service we offer our clients and will strive to deliver the best results each time. This guarantee means that if you don't like the results of our services we will come in and correct it within 24 hours, free of charge or offer a credit off your next service appointment. Say I’m interested, how can i get the ball rolling? Once contact is made, our representative will hear you out and try to give you a quote based on your requirements (and budget too!) if however, this process proves difficult, he or she may ask that you schedule an appointment, that will allow one of Nashville Hood Cleaning's team members to come to visit you at your restaurant and to conduct a quick and hassle-free inspection. After that is done, they will give you a quote. Don't worry all this will come at no charge to you. In certain cases, some of our clients don't know what to 'order for'. Which is perfectly okay, because our representative will give you a document that has a list of all the services we offer, feel free to pick all the services you'd like for your restaurant. If you have anything else in mind this would be the time.